Term rewriting methods are used for solving the persistency problem of parameterized data type specifications. Such a specification is called persistent if the parameter part of its algebraic semantics agrees with the semantics of the parameter specification. 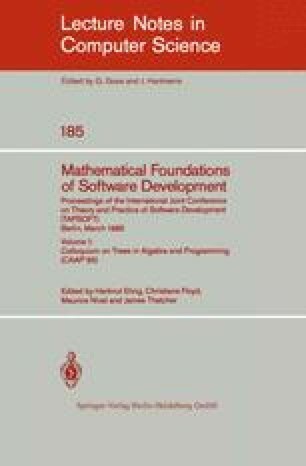 Since persistency mostly cannot be guaranteed for the whole equational variety of the parameter specification, the persistency criteria developed here mainly concern classes of parameter algebras with "built-in" logic.